The best way I can describe Mickey Avenue at Shanghai Disneyland is a mix of Mickey's Toontown and Buena Vista Street. 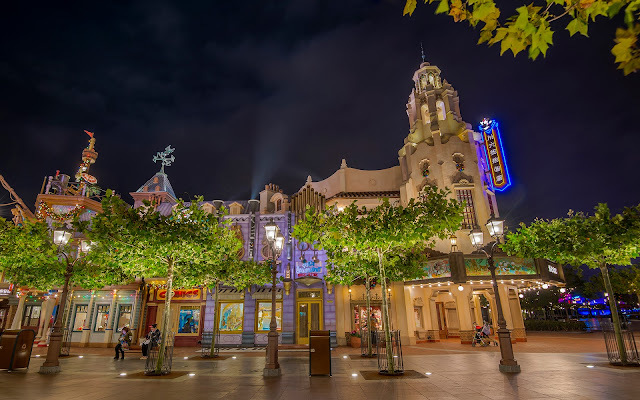 The land itself is relatively shallow, not a long corridor like the Main Streets of the Magic Kingdoms of the world, and the architecture for most of the street is whimsical and sort of cartoon-like, yet familiar and cozy at the same time. And it features a tower at the end of the street that looks an awful lot like Carthay Circle Restaurant. There is charm and a sense of elegance, and some playfulness too. A unique entry area for a unique Magic Kingdom park! Mickey Avenue is a cornucopia of facades, leading to a familiar icon--at least to Disney California Adventure guests.